Why Do You Need Silikal Floors? ​Silikal Philippines operates nationwide with headquarters in Quezon City, Philippines . We do projects in Visayas and Mindanao Area through direct dealings with our clients in that region under INPOLCHEM, INC. Applicators who are based in Manila are sent to project sites accordingly. Any company or institution, claiming to be based in this region is not in any way affiliated with us. We distribute materials and train only applicators who are able to deliver and perform according to set standards in delivering quality floors. This entails specialized training and special equipment to apply. Currently, we do not have any accredited partners in Visayas and Mindanao Region. You may check Silikal Gmbh's website for Distributors in Asia, specifically in the Philippines or contact us for any confirmation. Let us solve your flooring problems now! 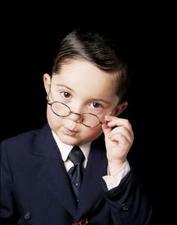 If you cannot play this video, you may click here. All works only applied by our Team INPOLCHEM, INC. are with Warranty .Subject to Warranty Conditions. To confirm the integrity of your Silikal Reactive Resins distributor and applicator, in the Philippines. "Expect More From Your Floor"
Silikal Reactive Resins provide cost-effective Flooring Solutions; taking away the headaches of perennial flooring problems in your operating plants, production facilities and other places.As long as there are heavy traffic, extensive mechanical load,thermal load and aggressive chemical media which threaten the integrity of your floors- Silikal Flooring Systems have the answer! To know more, go to Product Brochures and Information. SILIKAL MMA SYSTEMS gains certificate from HACCP International. 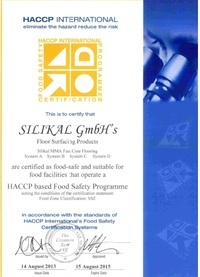 Silikal Gmbh leading manufacturer in the MMA Flooring Technology is now certified by the HACCP International. Hazard Analysis and Critical Control Points, or HACCP is a systematic preventive approach to the following areas: Food Safety, biological, chemical and physical hazards in production processes that can cause the finished product to be unsafe. HACCP is referred as the prevention of hazards. 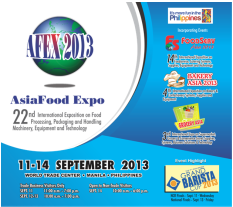 The HACCP system can be linked to all stages of food and preparation processes including packaging, distribution.The said certification strengthens the Silikal MMA Flooring Technology is food safe and suitable food facilities based on the HACCP Food Safety Program. .
Asia Food Expo 2013, the biggest food exhibition in Asia is coming this September 11-14, 2013. Inpolchem Trading and Services through its principal, Silikal Gmbh will be joining the said event, once again. This aims for strengthening economic and trade connections with Germany and the Philippines as well as information building benefiting the German-Philippine Business Community. Updated July 17, 2017. All Rights Reserved. Copyright © 2009. Disclaimer: Please be advised that pictures, videos, information and other media posted herein are properties of INPOLCHEM,INC, Silikal Gmbh or Silikal America. Any unauthorized use, copying and misrepresentation of these data may be punishable by law.